Hypoglycemia is a life-threatening condition in which the blood sugar levels drop dangerously low. The pancreatic beta cells produce the hormone insulin which helps to move glucose from food into the cells (for energy). It is not a disease in itself, but it is a symptom of an underlying disorder. The liver and muscles store excess glucose in the form of glycogen when needed, enzymes release it back into the blood. Many cells of the body can use protein or fat as energy sources if blood sugar levels drop, however, the brain relies on glucose alone. If glucose levels drop, the brain can no longer function properly and neurologic dysfunction occurs. Severe cases can lead to brain damage or death. The most common cause of hypoglycemia in cats is due to an insulin overdose. This is especially common in the early days when insulin levels are still being adjusted. 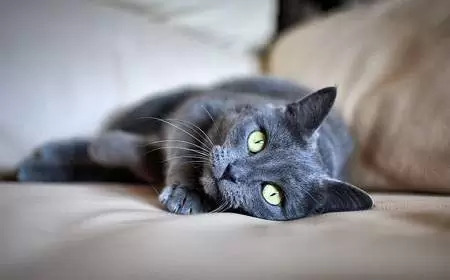 It is also possible for your an insulin overdose to occur as your cat’s insulin requirements may change over time, particularly if his diabetes comes under control due to dietary changes (known as diabetic remission). Pancreatic tumours (insulinomas) which secrete excess amounts of insulin regardless of glucose levels. Other types of cancer such as hepatic, mammary, pulmonary, lymphoma, oral melanoma. Certain medications and toxins such as xylitol and sulfonylureas. Missed meals, especially in the diabetic cat. Vomiting – Once a cat eats a meal, insulin is secreted to help move glucose into the cells, if the cat vomits up his meal shortly afterwards, the increased levels of insulin with no food to digest can result in hypoglycemia. Certain medications such as beta blockers. Hepatic disease, portosystemic shunt, hepatic lipidosis, hepatic neoplasia, and toxicity can all cause hypoglycemia due to dysfunctional glycogen storage. Glycogen storage diseases are rare disorders characterised by defects in glycogen branching enzymes which are necessary for the synthesis of stored glycogen in the liver and muscles. This means that stored glycogen is unable to be synthesized, leading to accumulation within the liver and muscles. Norwegian Forest cats are most commonly affected by glycogen storage diseases. Addison’s disease is a condition where the adrenal glands don’t produce enough of the hormone cortisol. This hormone helps to balance the effects of insulin by inhibiting its production in order to prevent it from being stored so that it can be immediately used. Sepsis (bacterial infection of the blood) can lead to excess cellular consumption of glucose due to an increase in metabolism and increased cellular activity as well as a decreased intake of food and decreased liver function. Most of the symptoms of hypoglycemia (often shortened to hypo) relate to neurologic disorder due to lack of fuel for the brain. Clinical signs and severity can vary depending on how quickly blood glucose declines and how low they drop. Liver disease would bring down blood sugar levels slower than an insulin injection overdose for example. Many of the symptoms listed can be due to other medical conditions. If you have a diabetic cat, it is extremely important to check his blood glucose levels and urine daily. Complete blood count, biochemical profile, and urinalysis to evaluate liver and kidney function as well as to check for signs of infection such as elevated white blood cells. ACTH stimulation test: This test measures the ability of the adrenal glands to respond to adrenocorticotrophic hormone (ACTH) which is made in the pituitary gland, travelling through the bloodstream to the adrenal glands where it stimulates the secretion of other hormones such as hydrocortisone from the cortex. The ACTH stimulation test measures levels of cortisol in the blood before and after an injection of synthetic ACTH. Radiograph or ultrasound of the pancreas to look for tumors. Testing insulin levels in the non-diabetic cat who has an episode of hypoglycemia may also be indicative of an insulinoma. If your cat is still conscious and can swallow, give him a sugar solution such as corn syrup, maple syrup or honey on his tongue. If he is not able to swallow, rub this solution onto the gums or under the tongue. Never force fluids or food into the mouth as this could cause choking or asphyxiation. If your cat is having seizures or is unconscious, take him to the veterinarian immediately, along the way administer sugar as outlined above. It is important to follow up with your veterinarian, even if your cat appears to be fine. It may be necessary to re-adjust insulin levels in the diabetic cat. Non-diabetic cats will require additional tests to determine and treat the cause. 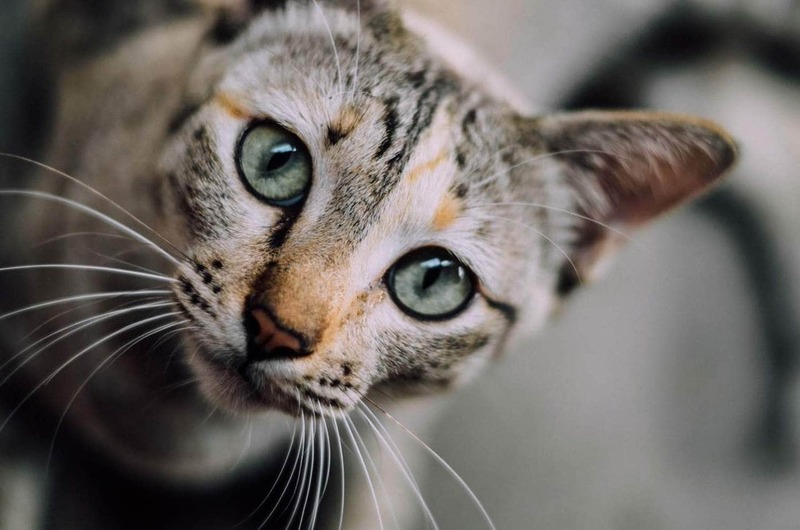 Once at the veterinary surgery, your cat’s blood glucose level will be immediately checked and if necessary he will be given intravenous dextrose. Glucocorticoids such as prednisone to help stabilise blood sugar levels. Do not administer insulin to a cat after hypoglycemia until a veterinarian has given the okay. Prevention is always better than cure. Hypoglycemia can escalate very quickly and the aim is to avoid drops in blood sugar. Ensure your cat eats frequently, he should be fed several small meals at the same time every day. Monitor your cat’s blood glucose levels and urine daily. Have one member of the house responsible for the administration of insulin to avoid accidental double dosing (or missing a dose).